10 Amazing Experiences At Project Vanity's 10 Years Anniversary! 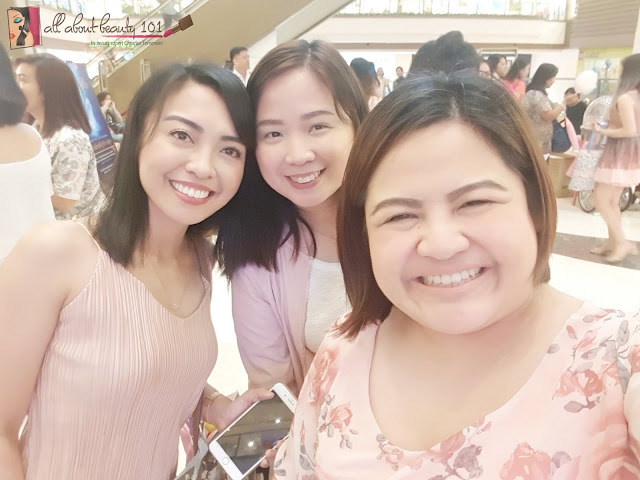 Some members of the Blogger Babes: Me, Kaycee and Gen-zel, decided to get tickets and attend Liz Lanuzo's celebration of Project Vanity's 10 years anniversary! Rochelle and Michelle would love to join but they had other events scheduled for the day. 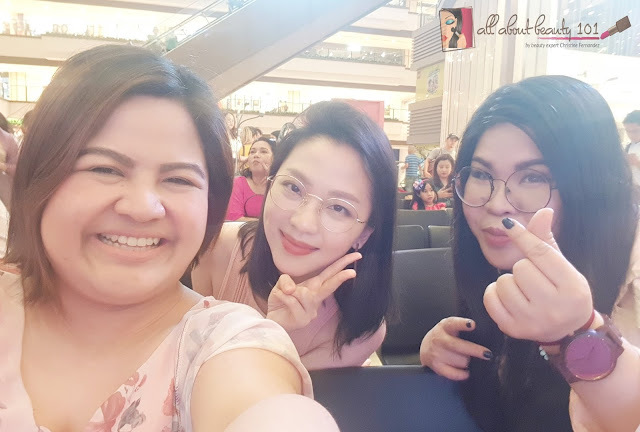 I also invited my friend (who also blogs), Jing Baloy of www.mykikaystuff.com to go with me. 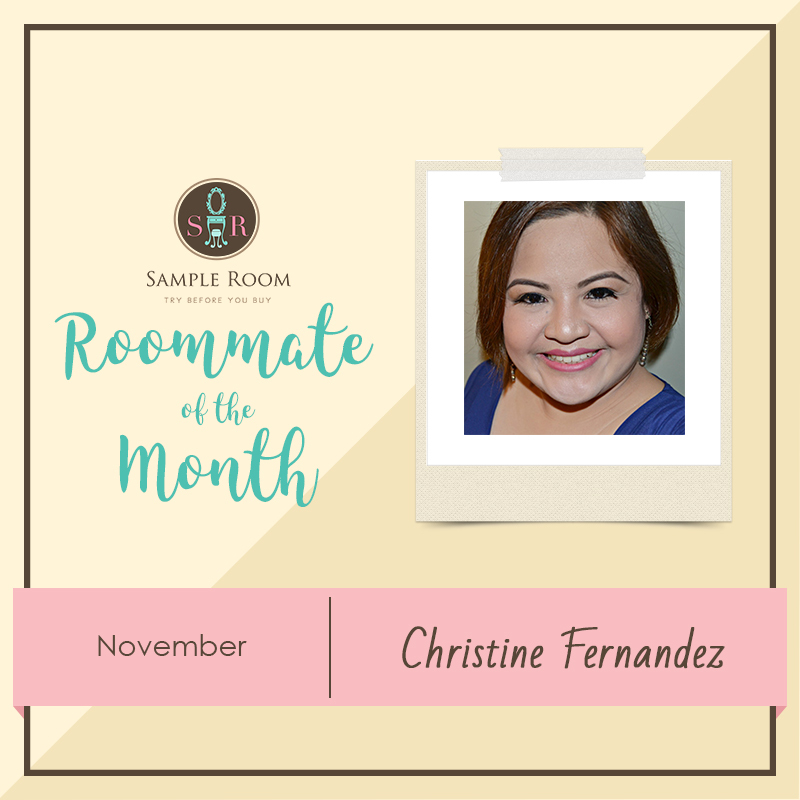 Anyway, I can still vividly remember that I usually visit Liz's blogsite and read her blog posts for tips and reviews even before I started mine. 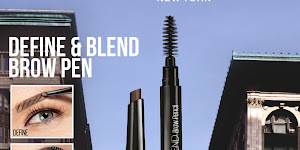 This 2018, imagine, one of the most trusted beauty sites just turned 10! I am more than happy to witness the event unfold! 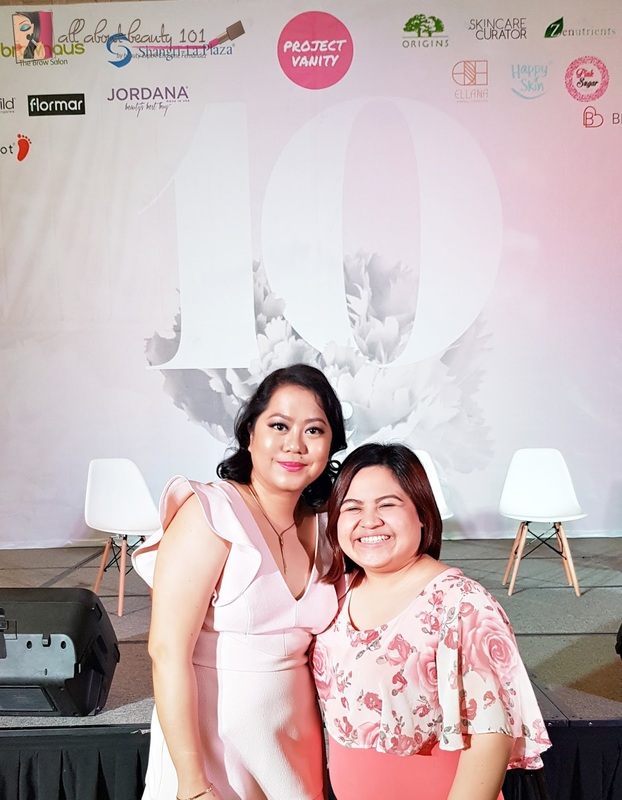 The celebration was held at Shangri-La Plaza in EDSA last March 10 at 1 to 6PM. 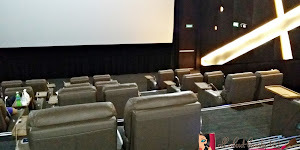 My friend Jing and I were there early so we were able to get a good front seats. 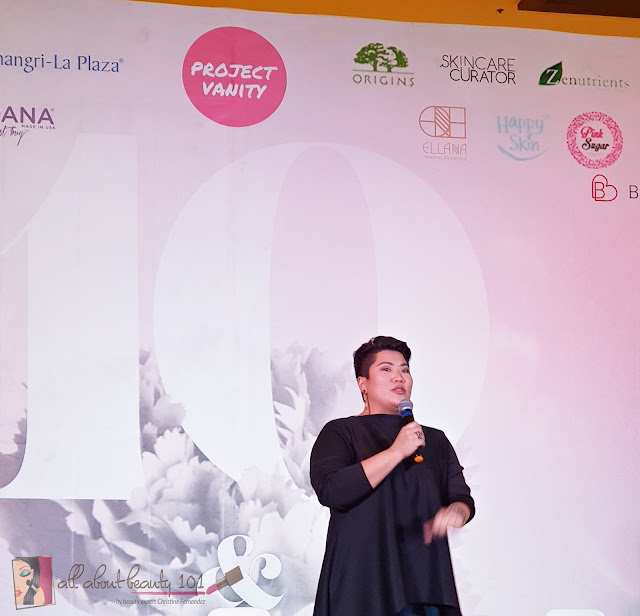 Are you now excited what happened at Project Vanity's 10 years anniversary? Let me tell you! 1. Snap your best OOTD with pink backdrops by PV! 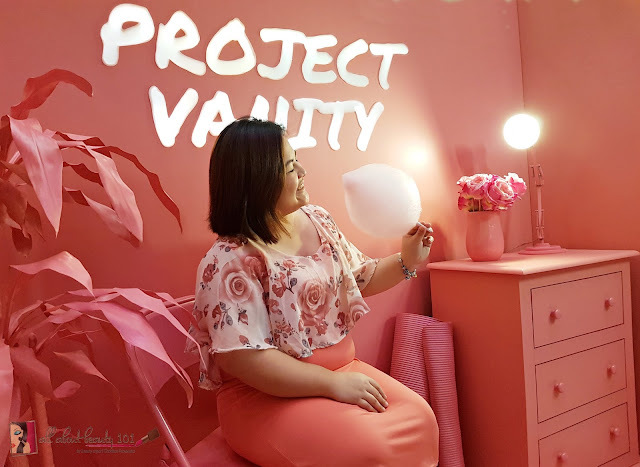 Snap Instagram-worthy photos and perfect profile pictures from Project Vanity's Pink Photobooth backdrop! I definitely enjoyed taking my photos here too! Thank you for my amazing photos Jing! 2. Feel like you are in a red carpet event with the Spin Cam! I do not have a copy of my Spin Cam Video but it was my first time to try it and I was really shy! LOL...I am sure I was not able to do it right! Hahaha! This topic was very interesting and I love how the great speaker was able to get the attendees hooked with the importance of the topic. I cannot wait to see more of her talks in the future because I learned a lot in this short segment. I even shared it in my Instagram stories during the event. Let me share it with you again the important message that I learned, (Not the exact terms used but basically same message) "You have the right to unfollow people or pages, stories that make you feel sad or envious. It is clearly obvious that social media should not interfere with your self-confidence. Anyone who might make you feel envious are worth blocking specially if it makes you feel bad. She made sure that we must understood that it is not a sign of weakness but instead, a sign of maturity. Beautiful message, right? I want to take this message by heart from now on! 4. Met the successful people behind our favorite brands! Get to know the people behind your favorite brands during the Project Vanity's Anniversary. 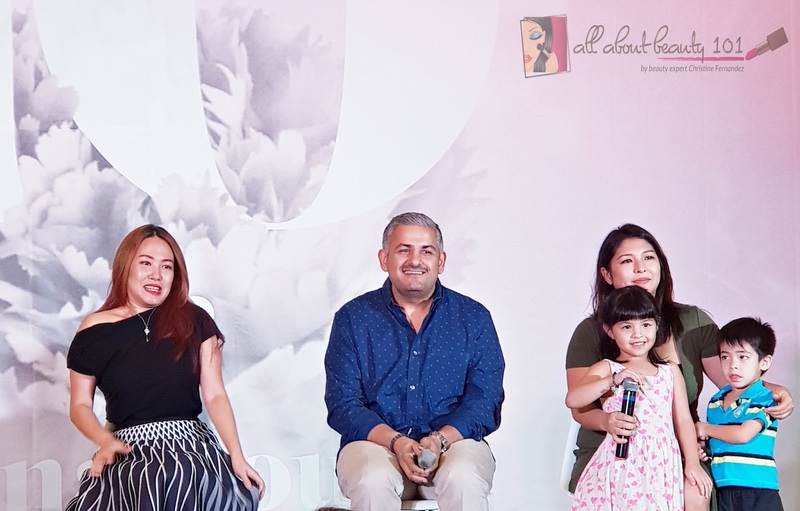 Ms. Andrea Amado of AGC (Etude), Mr. Laveen Mirpuri of Pink Sugar Cosmetics and Ms. Theresa Buenaflor of Ellana Cosmetics were invited to the stage to discuss about how they came up with their success in bringing brands into our country. All of them just believed that they can do it, and it did! Dreams do come true ladies! 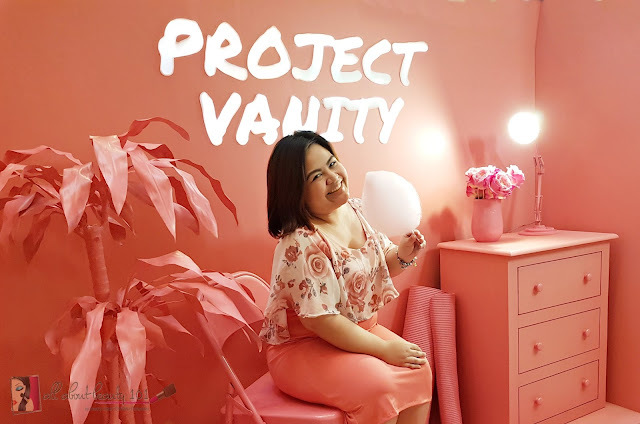 Project Vanity started with Liz Lanuzo as the sole writer but as the years went by, her blogsite evolved into a beauty site that people could interact. 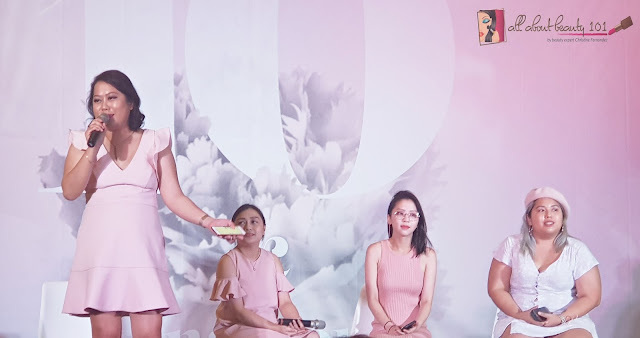 Now, there are amazing beauty experts who also share their insights in the site like Ms. Den, Ms. Kristel and Ms. Sam. Wow! 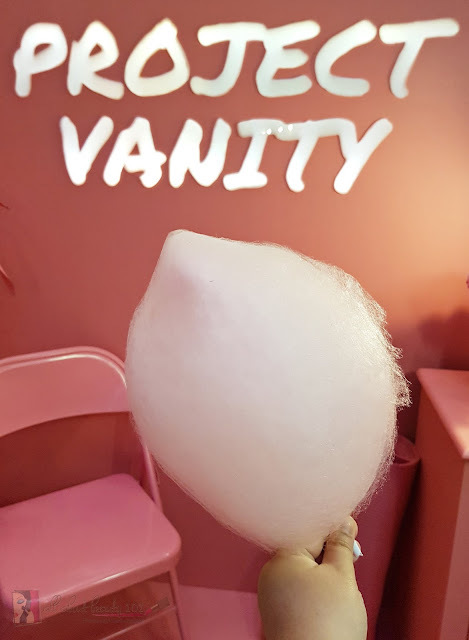 Though I only got one cotton candy, there is no limit during the event. It is the perfect snack for the day! There were special gift packs given away to best SpinCam Video, best in pink dress, and the human bingo game winner! 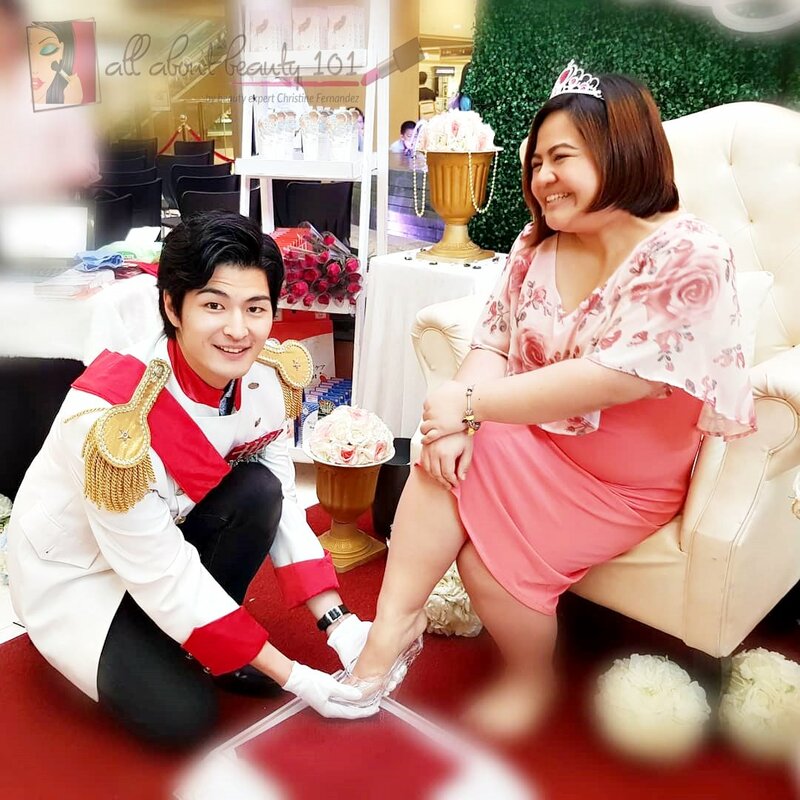 Baby Foot had a booth during the anniversary and they made sure you will feel like a Princess with a throne, a tiara and of course, the handsome Prince beside you who is also ready with your glass shoe! Unfortunately, I do not think that it fits! Haha! Not only was I able to meet Prince Charming, I was given a sample of Baby Foot product worth 800php! 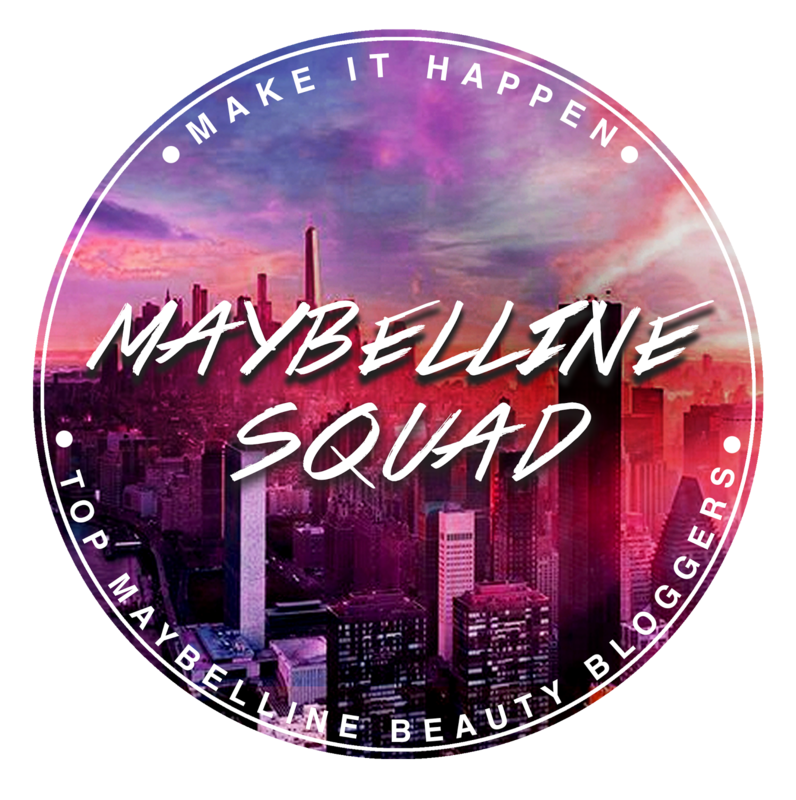 With more than 5000php worth of products inside your kit, the ticket fee is worth it during the event! My favorite product inside my kit, is the CosRx Acne patches! The event was such a blast and I am now looking forward to more anniversary celebration by Project Vanity. 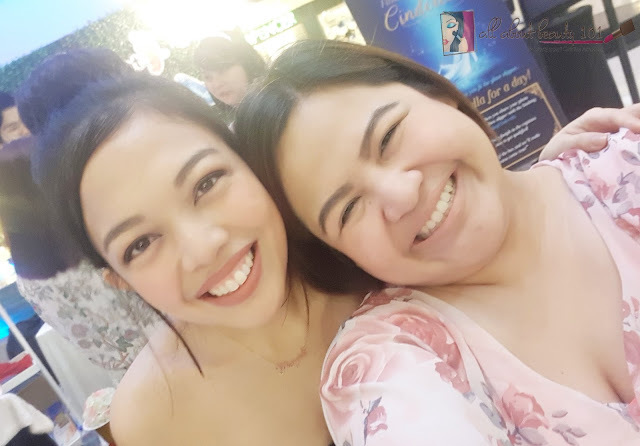 With this blog post ending, I just want to congratulate the Project Vanity Team again! Thank you for making all of us feel empowered!